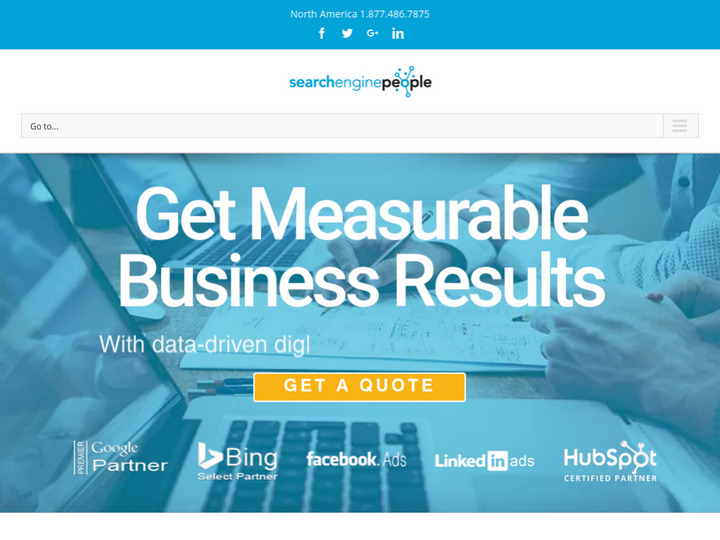 Search Engine People (SEP) is recognized as one of the 100 fastest growing companies in Canada which was founded in the year 2001 to serve small, mid-size and enterprise businesses with proper online marketing services. The company has more than 100 full-time team members who are perfect in innovating and expanding digital marketing, search and social media marketing. You get unparalleled results in SEO (organic search), LSO (local search optimization), PPC (paid search), SMM (social media marketing), Inbound Marketing, Content Marketing, Conversion Optimization, Web Design & Development, Display Advertising and Mobile solutions for your business needs. We promise our full support to generate measurable and sustainable results for your business. Great results in SEO, but sometimes don't answer questions. We've worked with them for over a year now with excellent results - moving to top 3 results on number of search terms. But they only really seem to work the link-building side of things and haven't been too helpful with site-related SEO. I wanted to say that we are impressed with the Team at Search Engine People. Our sites traffic is growing daily.. since we started working together. Keep up the good work! Ben Crowe. Quarantine Restraints ltd. Excellent and relevant presentation. Search Engine People recently presented at Toronto Board of Trade and they provided a fantastic and relevant SEO presentation to our members. Not only did they cover SEO but provided an excellent overview on how to improve your business ranking online. We hope to have them present to our members again very soon. Toronto Board of Trade. As senior producer for Discovery Channel online in Toronto, I have watched Search Engine People grow from a promising upstart that got us consistent results (quadrupling our traffic several times via social media submissions, highest traffic ever, etc..) to a much larger promising upstart of world-class significance. As a niche marketing and content creator over the last two years, my business dealings with Jeff Quipp and team have been some of the most innovative, exciting, and successful collaborators of my career and I can always count on Search Engine People to get results for me and my clients. If you are looking to give your business a boost online, this is where you go. Search Engine People is an awesome place to work. As a market leader in search marketing, I truly found opportunity to grow as a digital marketing professional and team leader. Like any SMB, there are challenges when you are chasing the gold standard in your field. Nevertheless, Jeff Quipp and the team are fantastic. I loved it so much, when I left, I through a mini "Richard is sad to leave SEP" party. I have moved on in my career but SEP holds great memories for me. I won, they won and the clients won. My company has worked with Search Engine People for the last few years and we're very satisfied and impressed with their expertise. They have delivered great results and provided excellent client services. We were most impressed with Dana Kitchen (Sr. Account Manager.) 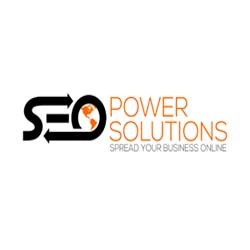 who is a great communicator and very knowledgeable with the search engine marketing. We hope to continue working with SEP and not only provide great search results ranking but deliver the most relevant search results to our users. Amazing job SEP!